Researchers and students share their work at a poster session at the symposium. Photo by Lina DiGregorio. The symposium is an opportunity for the broader OSU and research community to learn more about current Andrews Forest research, recent findings, and new directions. The event includes presentations and a poster session. 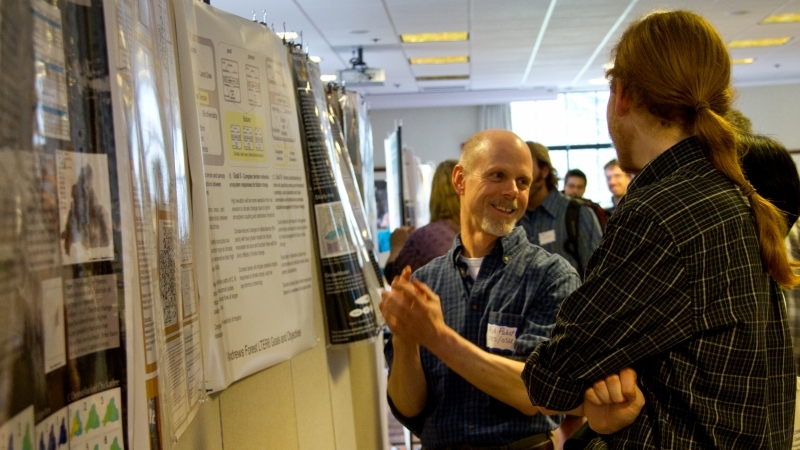 The poster session features posters from all researchers; graduate students are especially encouraged to share their ideas and results.